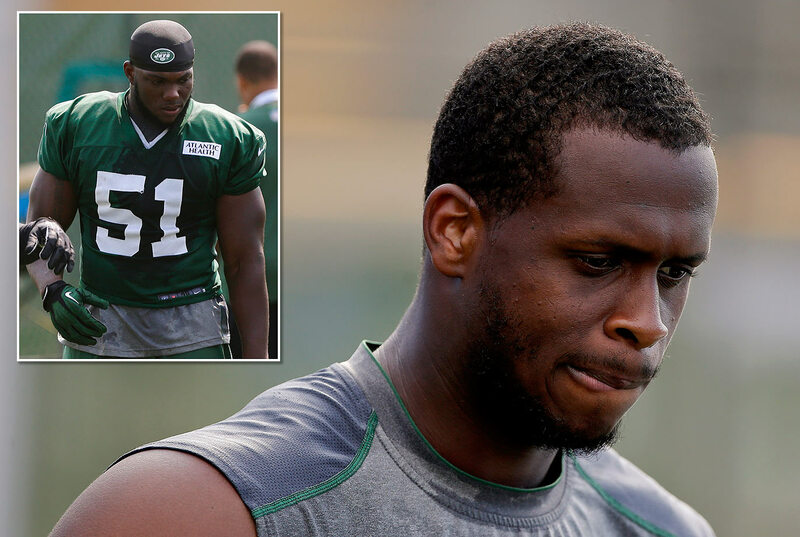 The starting QB’s jaw was broken when he was sucker punched in the Jets locker room by linebacker Enemkpali at the team’s training camp in New Jersey. "It was something very childish, something sixth-graders could've talked about," coach Todd Bowles said. Enemkpali, who has a history of an arrest in which a stun gun and pepper spray were used to subdue him, was promptly released. Smith was expected to miss 6 to 10 weeks. 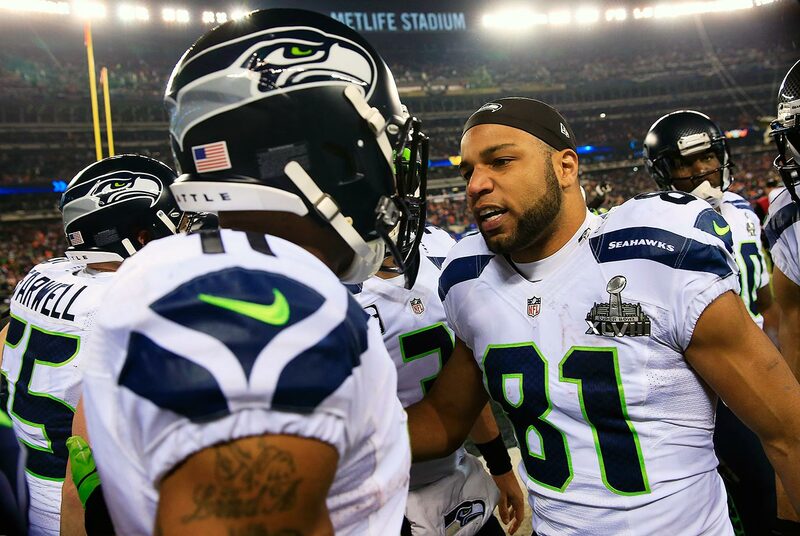 The incident was kept under wraps for almost a year before it was revealed that the two Seattle receivers got into a fight before the Seahawks took on the Broncos in the 2014 Super Bowl. Receiver Michael Robinson eventually broke up the fracas. 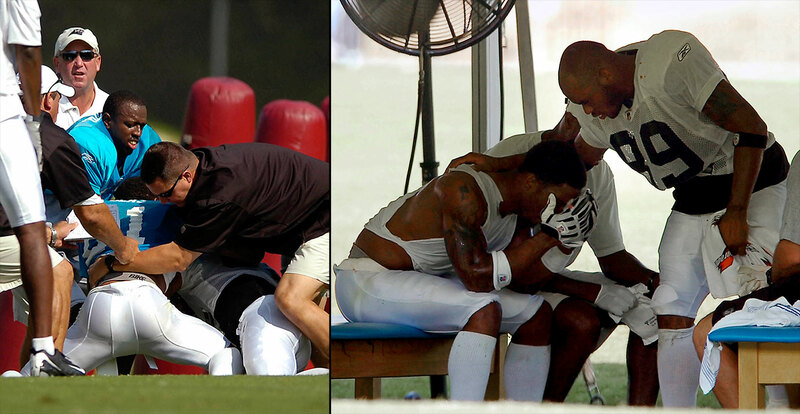 On August 1, 2008, Smith, a Pro Bowl receiver, broke cornerback Lucas' nose in a fight during practice and was hit with a suspension of two regular-season games. The melee came after both players, who frequently yapped at each other, had taken off their helmets in between special teams drills. Zambrano shoved his batterymate after Barrett allowed a pass ball and committed a throwing error during the same inning of a June 2007 game against the Braves. Both were taken out of the game, but the fight continued in the clubhouse. 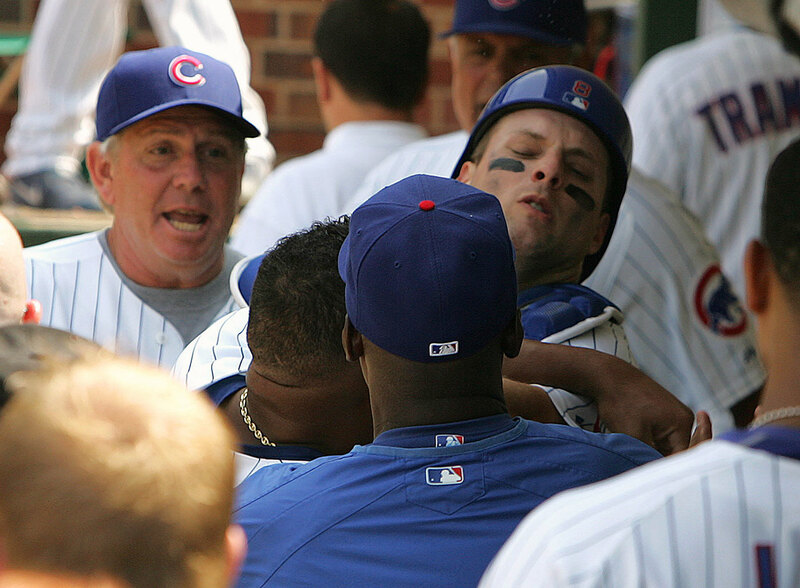 Barrett wound up bruised and needing stitches, but he accepted Zambrano's apology. The Newcastle United teammates' frustration with each other got the better of them during a 2005 FA Barclays Premiership match against Aston Villa in Newcastle, England. Exchanging blows shortly after their team took a 3-0 lead en route to a victory by the same score, the pair received red cards and continued their scrape in the dressing room. Two hulking team masseurs finally broke it up. 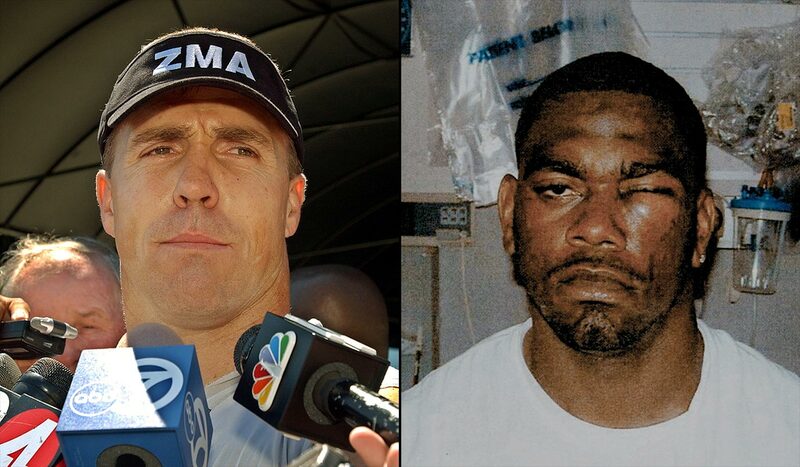 Williams, a backup tight end for the Raiders, learned the hard way why you don't mess with Romanowski. They got into a skirmish during a team scrimmage in Aug. 2003 that culminated with Romanowski ripping off Williams' helmet and punching him so violently it shattered his eye socket. Williams never played another game in the NFL. Romanowski was fined and suspended. These two heavyweights went at it during a Sept. 2002 team scrimmage after a scrum in the corner ended with a stick to Primeau's throat. He retaliated with an elbow to McAllister and soon the gloves were off and punches were flying. Primeau took a couple of hard shots to the jaw, but McAllister had to be taken to the trainer's room to have his hand X-rayed and his broken nose set. 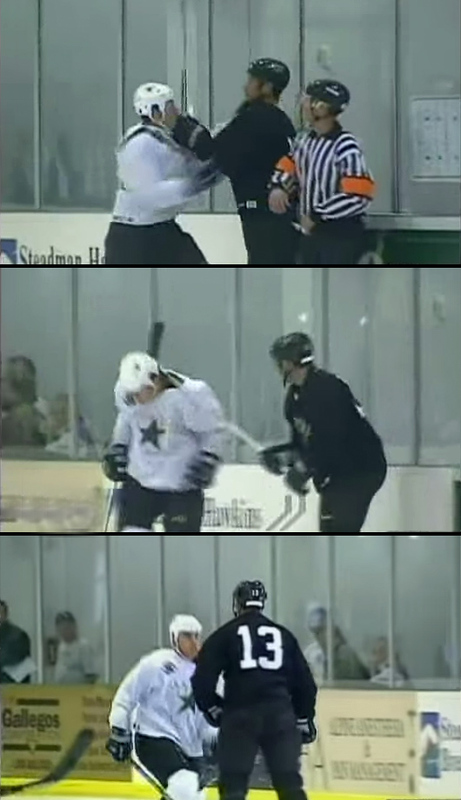 During a Dallas Stars scrimmage in Sept. 2002 veteran winger Guerin got ticked off at prospect Draney and gave him hard two-handed slashes to the neck with his stick. Guerin’s ugly attack was caught on video by a TSN crew that was filming a feature on him and the team. 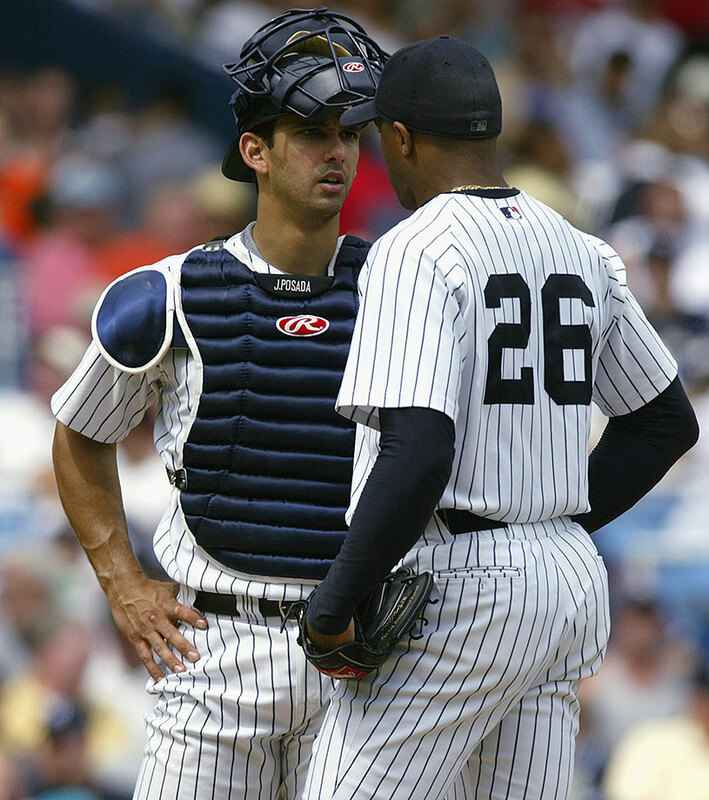 The Yankee battery had a prickly relationship that boiled over three days after a September 2002 game against Baltimore. El Duque accused his catcher of not informing him of an umpire's warning about the pitcher bringing his hand to his mouth while on the mound. As Hernandez chatted with teammate Raul Mondesi in the Yankees' clubhouse, Posada made a remark that drew a punch to his face. 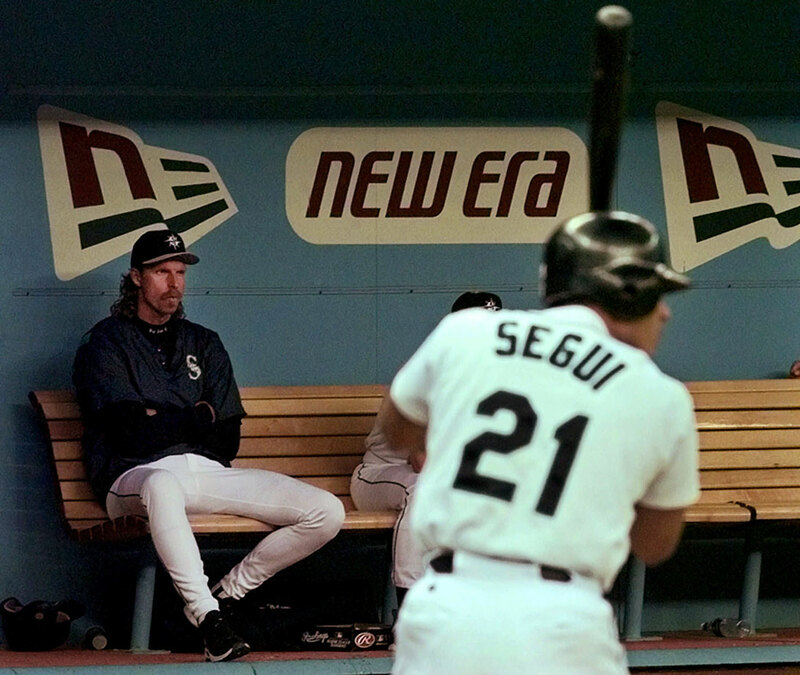 Johnson the towering lefty took exception to the music Segui was playing in the Mariners clubhouse one day during the 1998 season and shoved the first baseman into a locker. 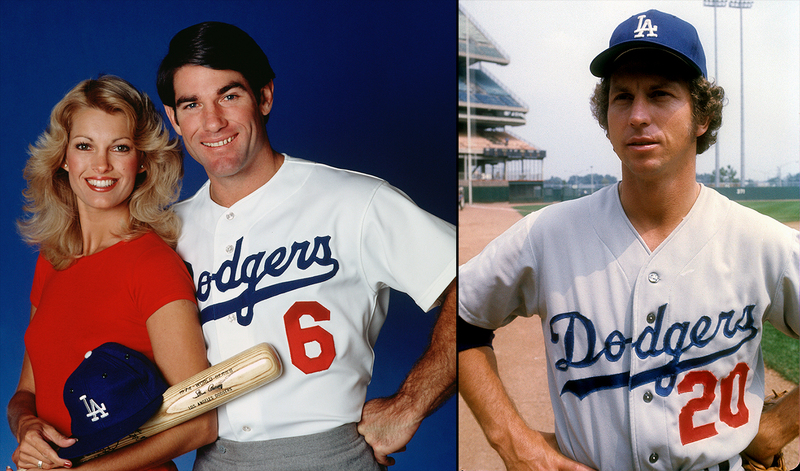 The pair was finally separated by a group of 10 players plus manager Lou Piniella and pitching coach Stan Williams. Segui suffered a sprained right wrist. Wideout Westbrook snapped during the Redskins' 1997 training camp, attacking Davis, who had allegedly uttered gay slurs, and beating the running back repeatedly in an ugly incident that was caught on camera. The Redskins fined Westbrook $50,000. 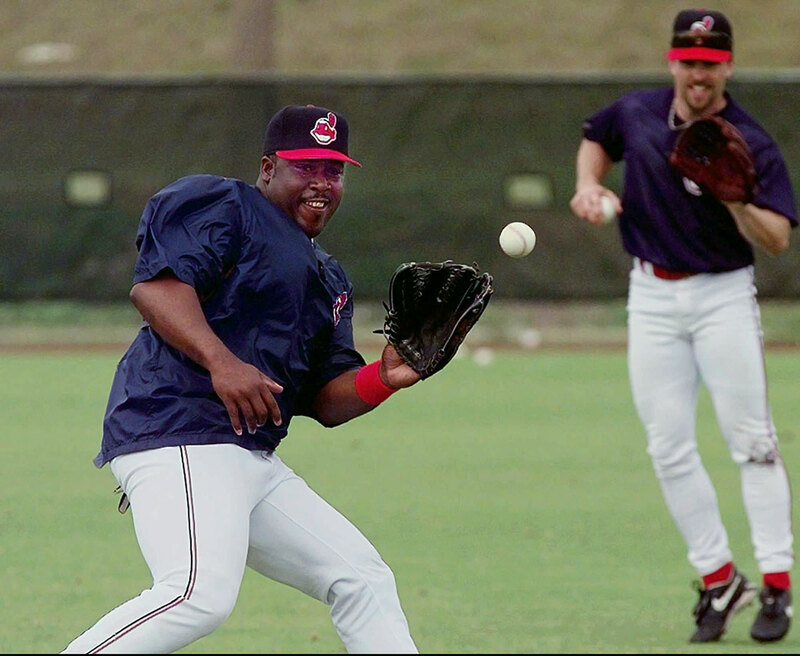 During the 1997 season the two Cleveland teammates got into a beef over music with Mitchell flattening the smaller Curtis on a ping-pong table. Curtis sustained a sprained right thumb as was later traded to the Yankees. Mitchell was cut by the team. Strawberry and Hernandez got into fisticuffs during the team photo session after Hernandez gave his teammate a little grief for being late. Strawberry failed to see the humor and punched the first-basemen before teammates quickly came in and stopped the fracas. 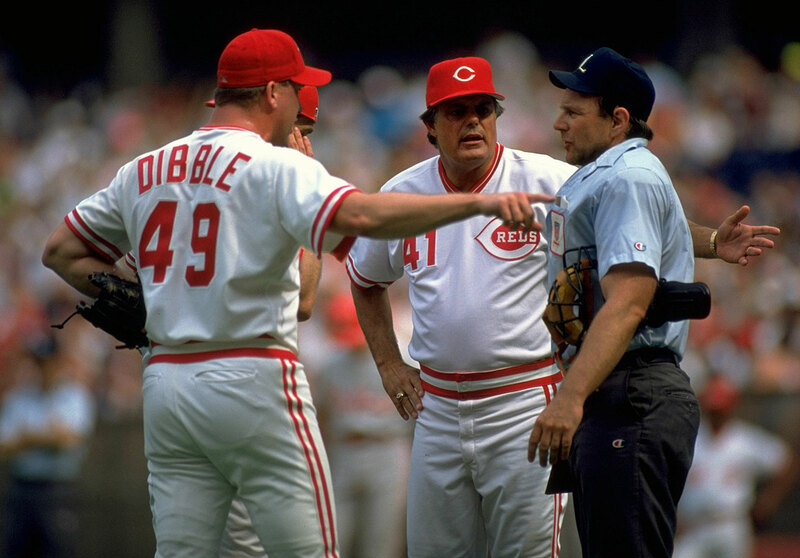 Piniella, the Reds manager, was known for his hot temper, and so was Dibble, a hard-throwing member of Cincinnati's Nasty Boys relief corps. So perhaps it was inevitable that the two would clash, with the dustup finally occurring late in the 1992 season when Dibble claimed Piniella had falsely indicated to reporters that he had a bad shoulder. Piniella called Dibble a liar and the two wrestled in the clubhouse. 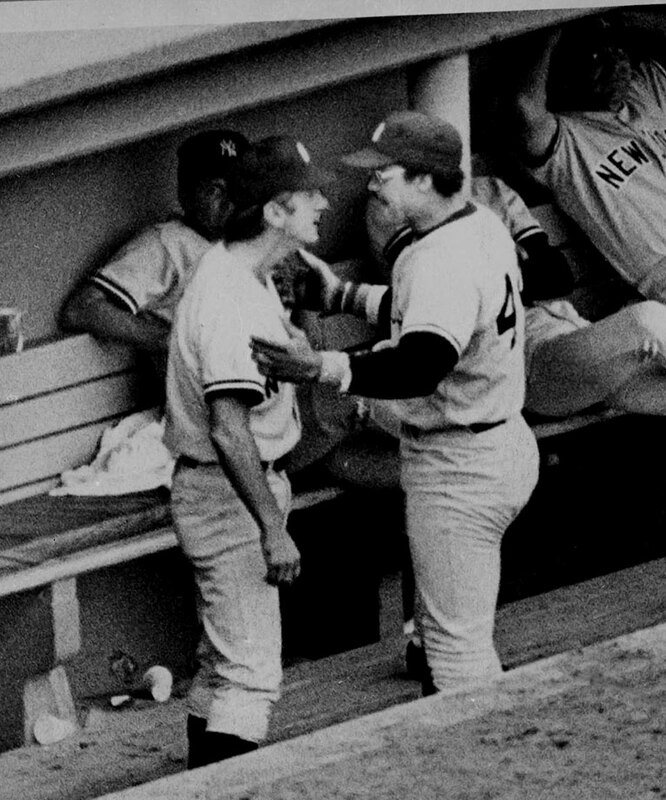 The Yankees were two-time defending World Series champions, but this fight was the first sign that their 1979 season was doomed. The altercation started almost as a joke, but quickly escalated after Gossage made a comment that Johnson couldn't hit him when the two were opponents in the National League. The two went at it in the bathroom, and at one point Gossage fell against a shower wall and injured his thumb, sidelining him for two months. 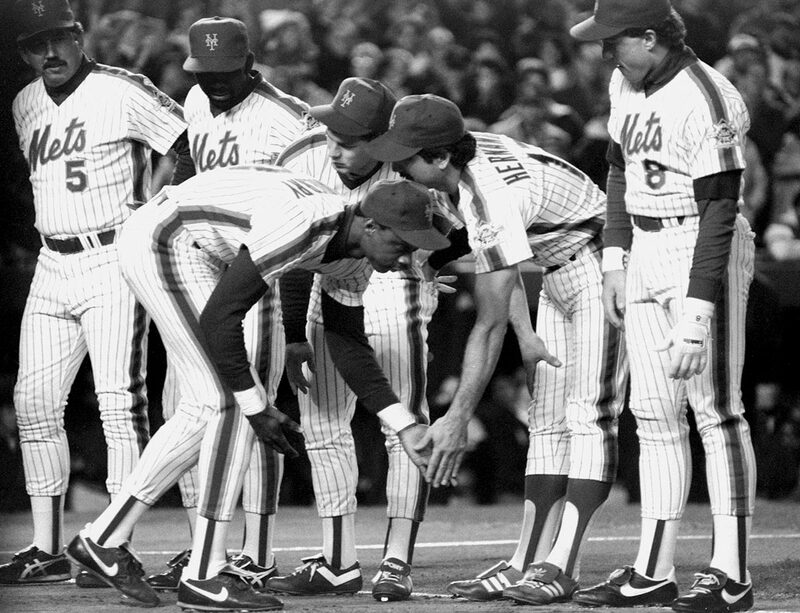 The two Dodgers had a dust-up at New York’s Shea Stadium in August 1978 after Garvey read critical comments about him by Sutton in a newspaper story. Sutton insulted Garvey’s wife and fists flew leaving both men with cuts and bruises. Martin's role as a scrapper was well established. While managing the Twins in 1969, he clocked pitcher Dave Boswell so hard that Boswell needed 20 stitches. In ‘77, Martin and superstar outfielder Reggie Jackson nearly came to blows on national TV in a Fenway Park dugout (pictured). 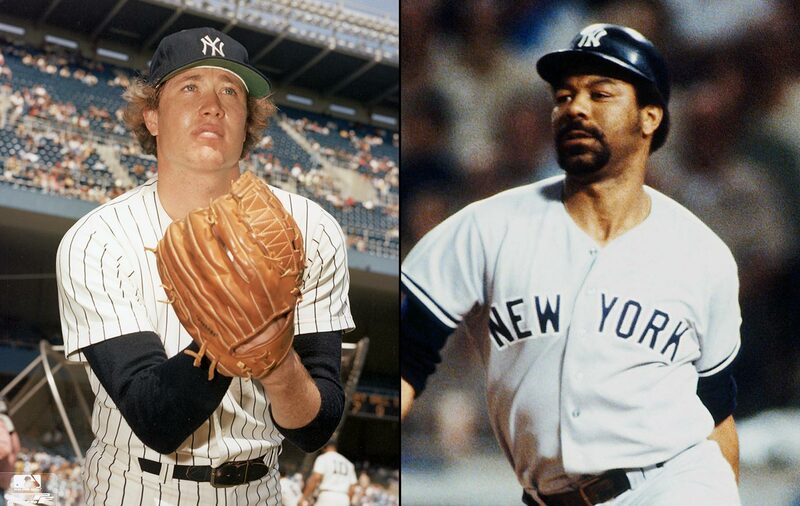 And in 1985, Martin and Yankees pitcher Ed Whitson got into a wild brawl at the team’s hotel in Baltimore that left the fiery skipper with a broken arm. 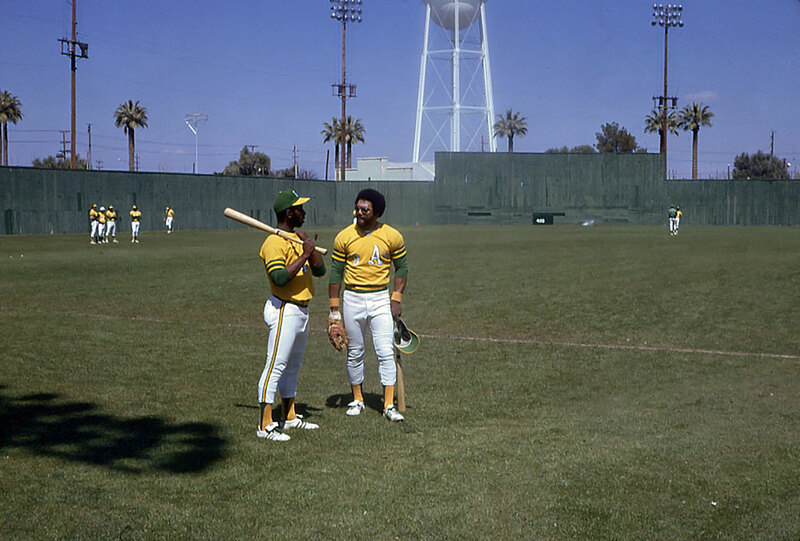 The fighting A's of the early 1970s may have been the most combative team in modern baseball history. Perhaps their most famous row came when Jackson, tired of being picked on by North, tackled his adversary and the two exchanged punches. Catcher Ray Fosse hurt his neck in the melee and was out for the year. A Baseball Digest article quoted Jackson this way: "I was wrong...but North has been asking for it." In honor of Jets quarterback Geno Smith going down like a sack of glass potatoes at the hand of IK Enemkpali, the above gallery is a history of teammate brawls (click here for full-size version). Deflategate continues. Earlier Wednesday, Tom Brady and Roger Goodell went face to face in a Manhattan federal court room as the NFL hopes to confirm its four-game suspension against Brady. Stephen Brown of the New York Daily News live-tweeted the affair. The News also has a pretty thorough write-up of the hearing, and, well, it looks like we could be here for a while. Looks like a pretty solid schedule, especially if the Lakers are more than a glorified D-League team this year. Wednesday is the day many creepy people have been waiting for—Twitter has removed its character limit on direct messages. You can now slide into DMs completely unhinged. Be careful out there. SI.com's Dan Gartland has compiled some (we didn't have enough space for all) of the New York Jets' most miserable moments in one handy graphic. Mark Cuban says he would be a Republican if the party let him be a REAL LEADER... We rounded up some more great photoshops of the Tom Brady courtroom sketch... Colin Cowherd's move over to Fox is now official.... At Rolling Stone, Matt Taibbi wrote a pretty exhaustive takedown of Roger Goodell and his attempts at handling high-profile cases... SI's Alexander Wolff ranked the best March Madness Cinderellas of the seeding era... Ryan Kearney gives us either the hottest Geno Smith take or performance art at The New Republic, we'll let you be the judge... Chicago Blackhawks forward Patrick Kane has been removed from the cover of EA Sports' NHL 16... The MMQB's Robert Klemko says Cris Carter was right to call out Geno Smith's leadership... Former No. 1 overall pick in the NBA Draft Greg Oden will try his luck in China... Hillary Clinton's campaign failed desperately at being hip on Twitter... There will be a sixth Mission: Impossible movie, which is awesome, because the fifth was absolutely bananas.... American Idol's Ryan Seacrest will host NBC's late night Olympic coverage from Rio... Have you read the Vanity Fair piece on Tinder yet?... You can form your own opinion on True Detective, but I can't stop watching this video of Colin Farrell saying he's a fiend for mojitos. Here's a song I'm currently jamming on. Goodnight, y'all.